Looking for balanced audio interconnects? The Libran balanced interconnect cable betters the specifications of standard microphone cables and will give you detail, dynamics, and clarity. 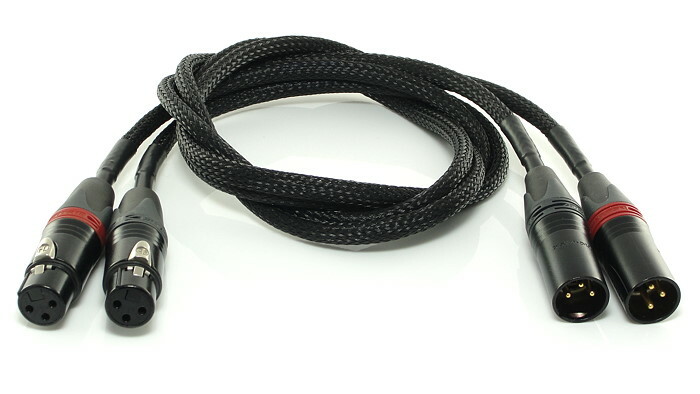 Balanced audio leads for both long and short balanced interconnections such as equipment-to-equipment or equipment-to-powered speakers needing a balanced audio cable - the Libran is an excellent balanced audio interconnect. 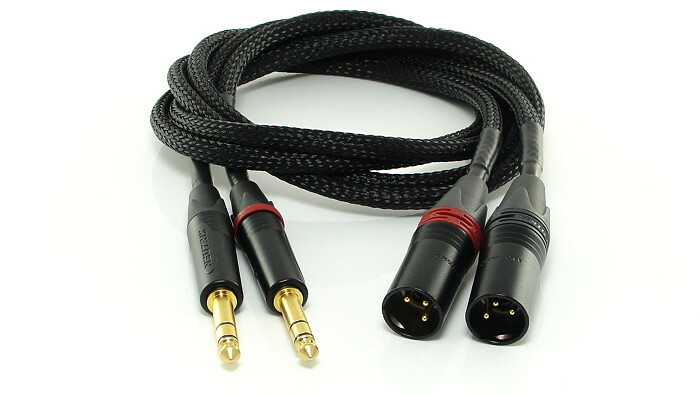 Available in paired lengths of your choice and terminated in gold plated Neutrik XLRs and/or Neutrik TRS-wired jack plugs . NB. The pattern in the braided jacket may vary between batches. For more information continue reading after the purchasing options below. Basket removes VAT on non-UK/EU purchases, but on delivery local taxes may apply! Appropriately named Libran because they're balanced cables, the Librans are graceful in their signal handling. Recommended for use between the Majestic pre-DAC balanced TRS output jacks and the balanced XLR inputs of the Proprius power amplifiers. Having a similar dielectric constant to polypropylene the Libran's insulation is a "fast substrate" making it low-loss. Unlike polypropylene the Libran is far more flexible and will form a bend radius down to 7cm. It is ultra-low capacitance at only 45pf/m across phases, and 75pf/m either phase to shield. Excellent balance and noise rejection is achieved through its twisted pair construction and foil plus braid shielding which is connected at both ends. All terminations give 360° shielding for high interference immunity. The Libran is suitable for use in both low-impedance, and (up to) 600 Ohm balanced systems. Swipe down for Specifications and Reviews. The International Loaner Program is just one of the brilliant things you get to take part in by becoming a member of the Graham Slee forum. Specifications subject to alteration without notice in keeping with our continuous improvement policy. I've just got some GSP Libran balanced cables to go between my Majestic and active Harbeth speakers in my study system, which aside from captive leads from turntables was the last non-GSP link. The improvement over the single-ended phono cables was very apparent, with more detail and dynamics, and clarity. Definitely recommended!